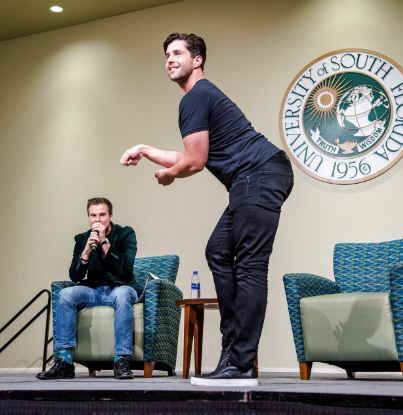 Josh Peck's interpretation of "spilling the tea" during his lecture on Tuesday night. ORACLE FILE PHOTO/LEDA ALVIM. 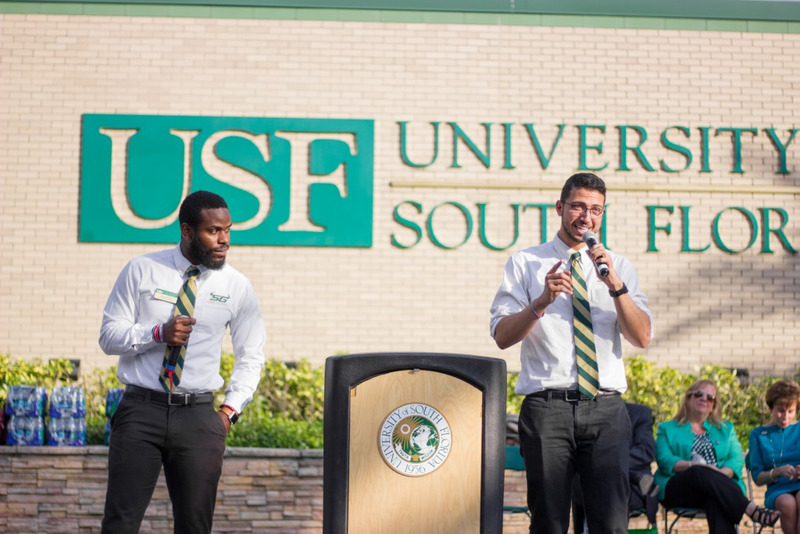 Josh Peck didn’t take the stage at the Marshall Student Center (MSC) Ballroom until 8 p.m., but Tuesday’s installment of USF’s University Lecture Series (ULS) started five and a half hours earlier with a mass communications student named Jordan Gaias. 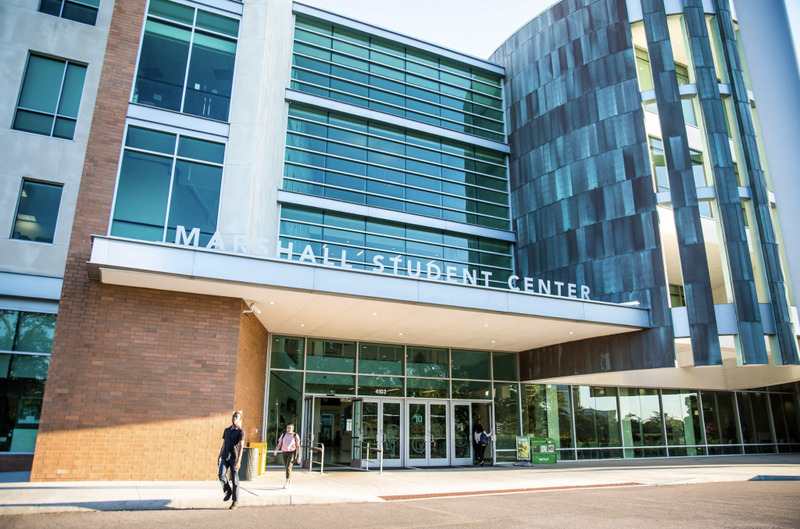 She arrived at the MSC to be the first person in line at 2:30 p.m.
Gaias normally works at Fitlife Foods on Tuesday nights but she called off of work to attend Peck’s lecture. She knew that whatever Peck had to say would help her more than one night of work. The MSC Ballroom filled all 900 seats and there was overflow seating in the Oval Theater where another part of the audience was watching the lecture on a live stream. Peck entered the stage three times, each with louder and louder applause. 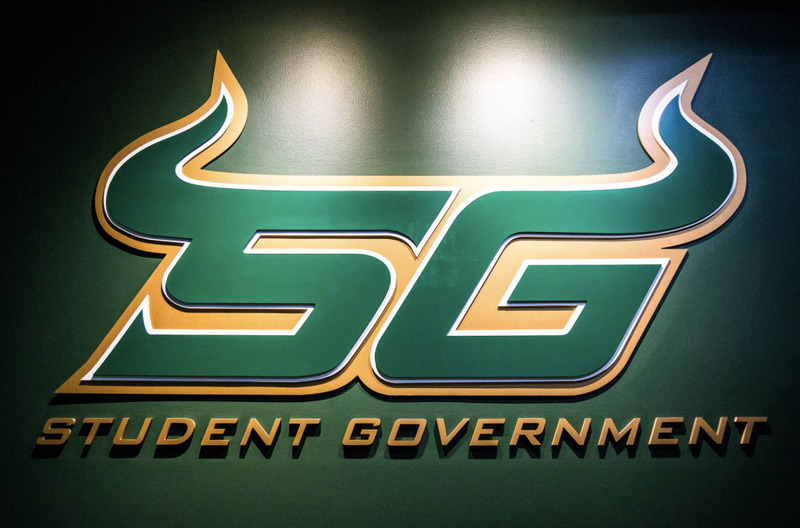 He clearly did his research before coming to USF. 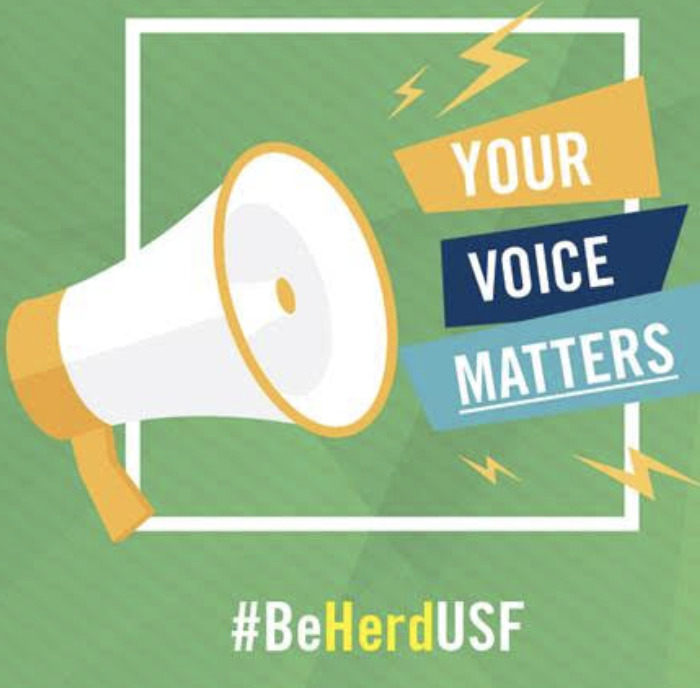 The room roared with laughter when Peck made references to the Walmart on Fletcher Avenue, The Study, compared President Judy Genshaft to Judge Judy and challenged the college football national championship that UCF claimed last year. Aside from all the jokes, Peck took time to talk about his experience as a professional. He talked about his brushes with people who he said are more famous than him like Kid Cudi and Chris Hemsworth. Peck told a story about the time he turned down Tom Cruise’s invitation to get ice cream together. Of course, Peck talked about his time on Drake & Josh, a popular Nickelodeon show that ended in 2007. When he started his career, Peck was a chubby, funny kid — “that was my role,” he said. Peck got involved in comedy at a young age because of his weight. Peck is still involved in acting but is no longer the chubby character of Josh Nichols. He teased an upcoming project he is working on with former co-star and friend Drake Bell. Peck chronicled the things he learned from his years of acting experience and his run-ins with other celebrities. He also has become a social media sensation. With more than 8 million followers on Instagram, 2.5 million followers on Twitter and nearly 3 million subscribers on YouTube, Peck has developed a strong following on various platforms, and it all started in 2013 with a Vine video when he filmed a “silly” video of himself talking in his car. Six years later, Peck says he is lucky he can create and interact on so many platforms. He gave some advice to students, like Gaias, about how to make a successful career through social media. “If you believe in what you’re doing and if it makes you laugh or cry or feel anything in between,” Peck said. “Post it and it will find its audience. It had been about seven hours since Gaias sat down to be the first person in line to hear Peck speak.